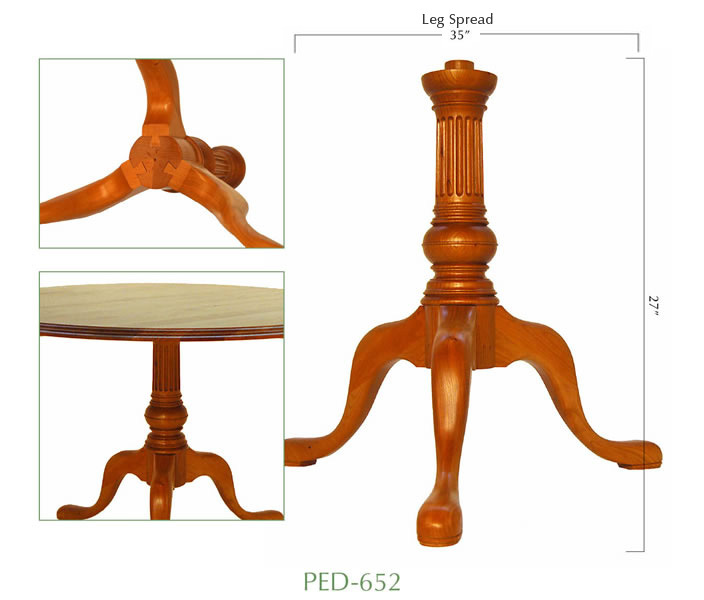 The same as our PED-650, but a full 5 1/4” diameter, this English style with fluting and shown with our PL-38 legs is a popular choice. Very familiar in a traditional setting, and great for double-pedetal dining tables. Displayed with 46” diameter top. Premium turned bases made to accommodate precision milled "french dovetailed" matching legs. Truly high-end reproduction quality workmanship to satisfy the most demanding person.